and fun. Today’s guest is Barbara White Daille. beneath an afghan and/or close to a crackling fire in the fireplace (if I had one). Oh—and with a tray of hot chocolate and cookies by my side. question. I would have trouble picking a favorite series, let alone a favorite book. Really, there were so many…. this very moment—and that would be Harriet the Spy. observations about her life and all the quirky characters she ran into. book. Pretty much the way I am now. heroine, the ringtone would be an oldie but goodie: I Fought the Law. 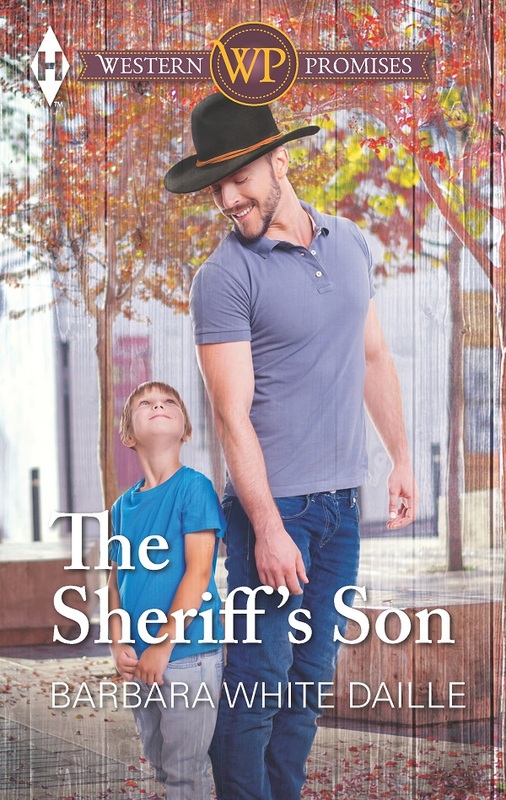 away to say that…eventually…Deputy Sheriff Tanner does win Sarah’s heart. Legs with plenty of hot melted butter. son—he lost the right to that information when he abandoned Sarah soon after graduation. for Tanner, and can’t deny how her son is benefiting from his attentions. finds out the truth, what is he going to do?